For many decades history of Odisha has been gergeously rejuvenated by the cultural heritage political humility literary acclamation and proficient, proliferation in the realm of Art, Architecture, culture,sculpture Yatra , Pala and by the glorious achievements of brightest luminaries that present and was prevalent in Jagatsinghpur. 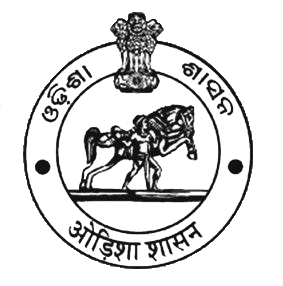 Jagatsinghpur was a medieval terminology figured in the history of Odisha, remarkably known as Hariharpur during the advent of the East India Company . The places is predominately recognized due to its existence situating to the close proximity of River Mahanadi and Bay of Bengal heralded many eventual episodes and memorable heritage on the anneals of mankind. Jagatsinghpur situated in the eastern hemisphere stretching over coastal hinterland , seliferous soils and marine boundaries . The place lies between 86”.3’ to 86”.45’ East Longitude and between 19”.58’ to 20 North latitude. It is bounded by Kendrapara district in North .Puri district in the South, Bay of Bengal in the East and Cuttack district in the West. The district consists of 8 blocks and 8 Tahasils and one Sub–Division covering 1759 Square Kilometers. A newly created district on 1st April,1993 with small in size and large in population. History of Jagatsinghpur comprises the conglomorationof Hindu, muslim, Maratha and British realms. The East India Company established their trading arsenals at Hariharpur in 1600 and capt. Bruton administered the place till 1633. The Maratha administration kept the place under their jurisdiction and appointed Jagat Singh in 1748 to collect revenue. He collected the peshkush and Nazrana and remained an unchallenged and uninturrupted administrator for a pretty long period. The place was converted from Hariharpur to Jagatsinghpur after the name of Jagat Singh since 1786. The bluish tidal waves of Bay of Bengal arrested the exploring Zest of international merchants to anchor their ships in its fabulous harbour at . The uninterrupted navigational oppertunities opened new industrial vistas for which multifarious large and small scale industries lifted their banners at Jagatsinghpur. Particularly Paradeep is the cradle of series of industries. The PPL.the IFFCO, the POSCO, the IOCL , the ESSAR are noteworthy. Large scale small scale and village industries are sufficiently crop up. The cotton sarees of Badabag and Nabapatna claimed uniqueness with the production of Sambalpuri sarees in the areas of hand weaving. The cane and coir products are praiseworthy. Chees,ghee and malai are plentily transported to various parts of our state. Some times Jagatsinghpur acts as rice and sugar bowl of the state. Jagatsinghpur produced eminence par excellence in the realm of science in the personality of Dr.Pranakrushna Parija profound political philosophers and teachers of international repute Dr.Sriram Chandra Dash, Dr.Manoranjan Mohanty ornamentalised the place. Dr.Prativa Ray, Dr.Bibhuti Pattnaik, Sri B.C.Rout, Sri Abani Baral, Prof.Chittaranjan Das and Sri Hrudananda Ray illuminated the literary horizon. Sri Gopal chhotray veteran dramatist and his illustrious son Debadas Chhotray, an ardent lyricist and administrator also hiked the glory of Jagatsinghpur. Sri Baishnab Mohanty, Balakrushna Mohanty, Sri Kishore Mohapatra, Sri Uttam Pal, Sri Bhagirathi Das , prominent palakar Jagannath Behera profoundly recognized Jagatsinghpur in the field of cultural evication. Parbati Gannatya, Benirampur opera, Gouri Gananatya, Tulasi Gananatya, Radhanga opera, Durgashree Gananatya, Tarapur Opera Trinath Gananatya and many others atuned the opera culture. Jagatsinghpur occupies 2n highest literary ratio in the state. Alakashram situating amidst the serenetic flora and fauna on the ashore of historic Alaka river was an altar of Freedom struggle next to “Sabarmati Ashram” and “Bari Ashram”. Jagatsinghpur produced the first woman freedom fighter in the dedication of Sarala Devi,Sri Gopabandhu Choudhuary, Nabakrushna Choudhuary, Malati Devi, Birakishore Das, Arnapurna Moharana, Sri Pranakrushna Padhihary, Sri Gouranga Das, Sri Nityananda Kanungo, Bhagirathi Mohapatra, Biswambar Parida, Priyanath Dey, Nishamani Khuntia, Baikunthanath Mohanty were praiseworthy. A brief sketch of Jagatsinghpur will entail an unlimited avenues that have been encircling around with emphatic influence over our national environment. When Odisha colourfully epitomized as an Emerald East certainly Jagatsinghpur dazzled as a precious coaral.